The only other driver to win 200 times in NASCAR was Richard Petty, aka The King. Unlike Petty, whose wins all came in Cup, Busch's have been accumulated across NASCAR's three top national series -- 53 in Cup, 94 in Xfinity and 53 in Trucks. Whatever. No. 200 for Busch felt mighty good -- especially having overcome the self-inflicted wound of a speeding penalty late in the race. "To win 200, whatever it means, it means a lot to me," the Joe Gibbs Racing driver said. "It means a lot to all my guys. "It's an amazing opportunity to drive for Joe Gibbs. I cherish every minute of it, love it always." 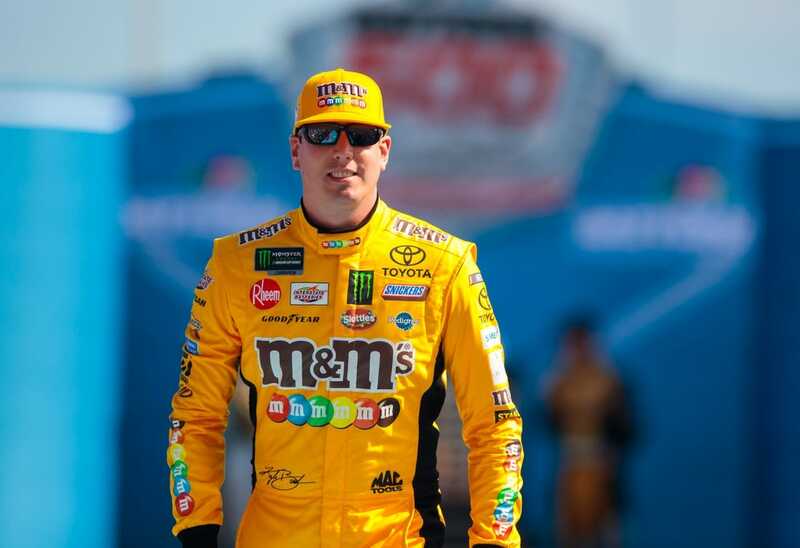 Busch led a race-best 134 laps and won all three stages. His margin of victory was 2.3 seconds in his second win in a row. Team Penske drivers Joey Logano and Brad Keselowski -- who won at Las Vegas and Atlanta respectively this year under the new high downforce/reduced horsepower rules package -- finished second and third on Sunday. Kevin Harvick of Stewart-Haas Racing, whose three-race winning streak ended in Fontana a year ago, was fourth, while Penske's Ryan Blaney was fifth. "Right now, we're just a bit off from the 18 car (Busch) and the Penske cars," said Harvick, who won eight races last year but who has yet to win in 2019. "We know that. We got some solid top five finishes out of stuff we didn't think was very good." For the first two stages of the three-stage 400-miler, Busch appeared to be cruising to Victory Lane. He led 102 of the first 120 laps, and many of those leads were by multiple seconds. But during pit stops between stages 2 and 3, Busch was busted for speeding, and it appeared that for the second straight day, pit road problems would keep Busch -- whose shot at winning the Xfinity race on Saturday ended with a pit crew penalty -- from making history. Busch was asked if he thought the speeding penalty had cost him shot at 200. "Yes, that thought certainly crosses your mind. I knew we had a great race car. We were fast. I just wasn't sure how well we were going to be able to come through the field," Busch said. "Sometimes, you've got to have a little bit of luck on your side." The penalty bumped him from first to 18th place for the ensuing restart with 73 laps to go. But the Las Vegas native began climbing back toward the top as soon as the race went green. With 26 laps to go, Busch moved past Keselowski and Logano and was back in the lead and for good. "The No. 18 blew our doors off," Logano, the defending series champion, said, "and drove away from us. Just didn't have nothing for that green (Busch's) car."